We know that there’s a lot of competition in the landscaping industry. Our team of industry experienced digital strategists will set you apart from the competition with local search, review marketing and paid advertising. Build a powerful local online presence. Whether it’s busy or off-season, your business must be found online throughout the year whenever your customer needs a landscape architect or landscape designer. 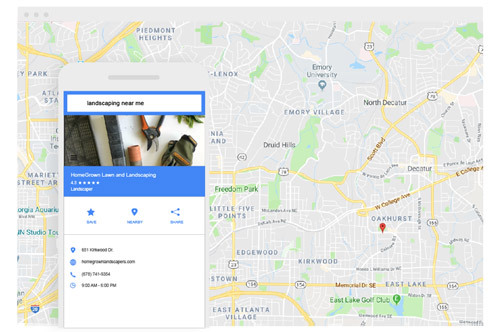 We’ll help put you on the digital map, using the latest landscape marketing strategies to make it easier for clients to find you while you focus on running your landscaping business. Keep your reputation under control. Even the best businesses can receive negative reviews, but with our review marketing, you’ll take control of your online reputation. 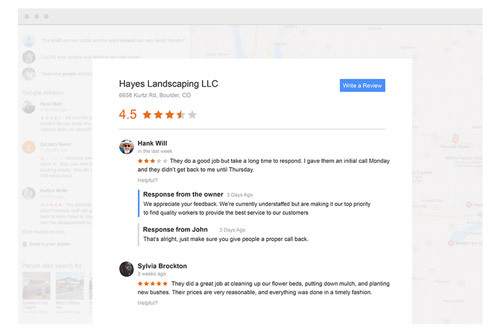 We’ll work with your landscaping business to get more positive reviews and alert you to any negative reviews so that you can resolve any customer concern quickly and efficiently. Target the right clients with paid advertising. Our landscape advertising specialists will use their industry knowledge to create effective ads for your business to reach more clients than ever. 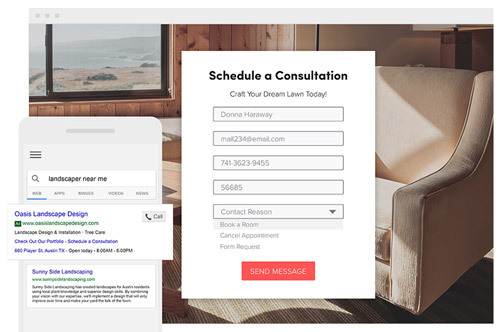 Whether your clients need landscape or hardscape for their backyard remodel, our paid ads will get you more clicks and phone calls, generating even more leads for your landscaping business.